Cooking for the Swedes onboard? One piece of advise I can give you, stick with their traditions! As Finland was until 1809 part of the Swedish Realm, Sweden and Finland share many cultural traditions, including that of the pea soup (Swedish ärtsoppa; Finnish hernekeitto ; Norwegian ertesuppe; Danish gule ærter). 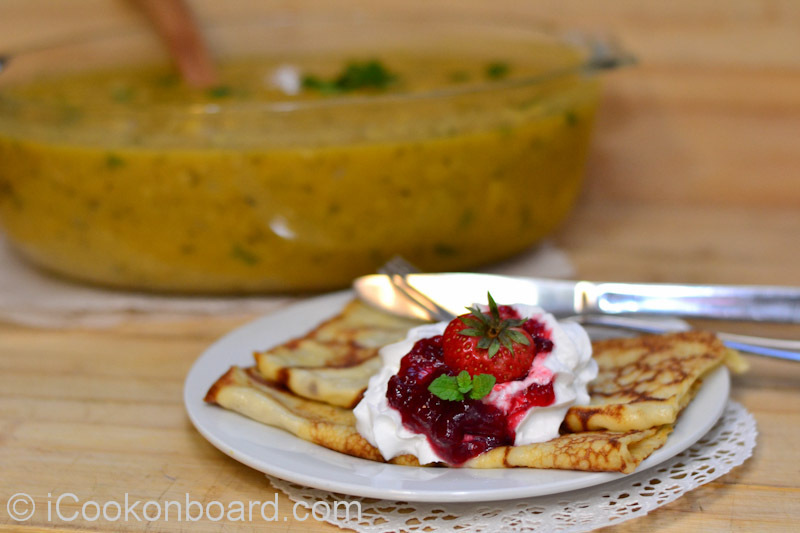 In Sweden and Finland it is traditional to eat pea soup on Thursdays, served with pork and mustard, and pancakes for dessert, in Sweden sometimes accompanied by Swedish punsch as beverage. In Finland the soup is made of green peas, in Sweden yellow. The tradition of eating pea soup and pancakes on Thursdays is said to originate in the pre-Reformation era, as preparation for fasting on Friday. Scandinavian pea soup normally includes pieces of pork – although it may sometimes be served on the side – and a typical recipe would also include some onion and herbs such as thyme and marjoram. It is usually eaten with some mustard, often accompanied by crisp bread and often with the sweet liquor punsch (served hot). 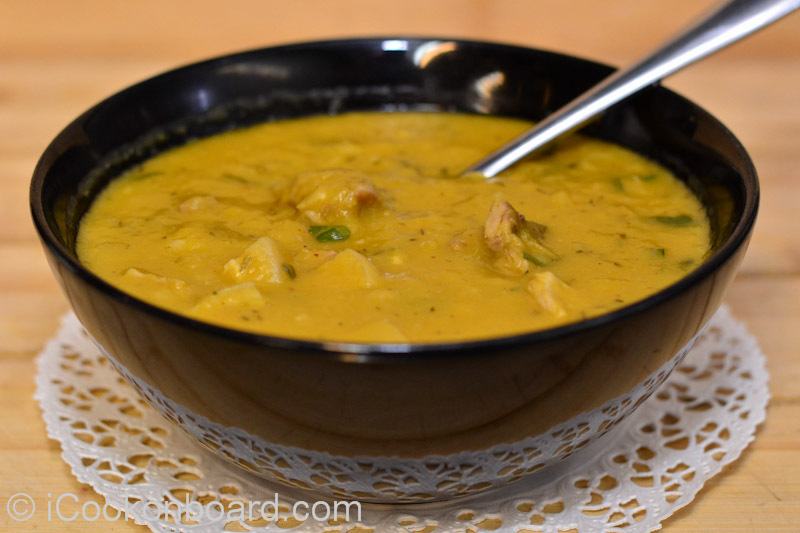 Mustard is an important part of the dish, but the soup is served without it so that diners can stir it in to taste. every Thursday in the Swedish Armed Forces and the Finnish Defense Forces. 2 cups (500grms) Yellow peas, soak in 2 liters of water overnight. 1 thumbsize (50grms) Ginger,peeled and sliced 1 cm across the grain. 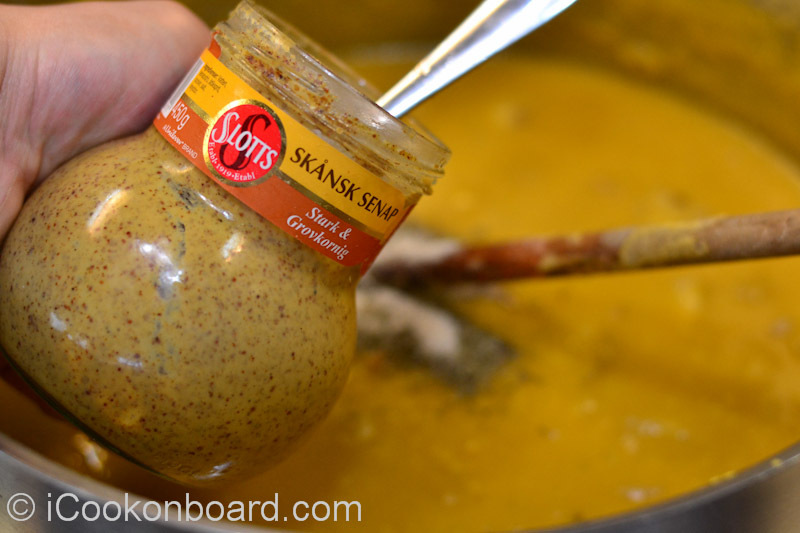 1 teaspoon Senap (Swedish grainy mustard) French Dijon mustard is also a good substitute. 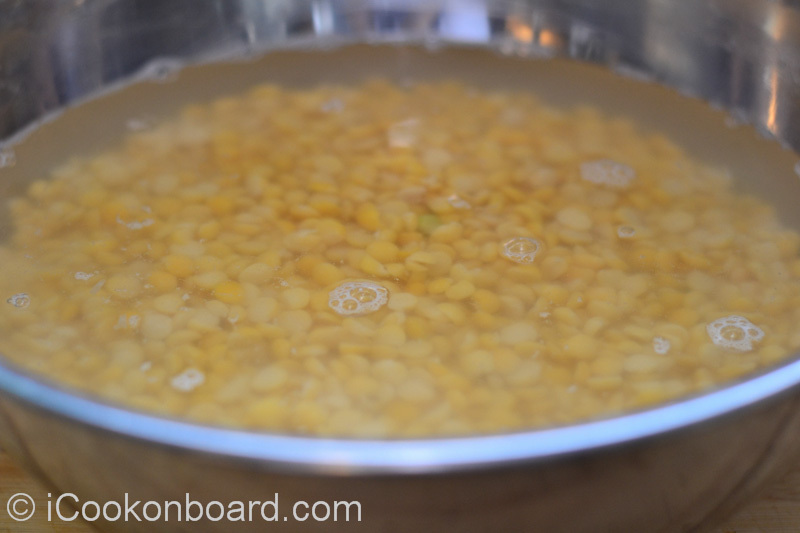 Wash and drain soaked yellow peas. In a large soup pot,put the first 6 ingredients. Bring to a boil on very high heat, then simmer on low heat until pork is tender and yellow peas is softened. Discard whole onion tacked with cloves. Take out pork and transfer in a chopping board, let it cool down before deboning and cutting it into dice. Discard the pork hock bones. Tranfer cooked whole carrots, sliced fresh ginger and 2 cups of cooled yellow pea soup in a blender. Let it liquify. Pour it back to the soup pot. Add the diced cooked pork hock meat. Add dry thyme, mustard and #Seasonin. Garnish with freshly cut parsley. Note: Pork hocks in Sweden is normally salted. Season soup after pork had been added back. 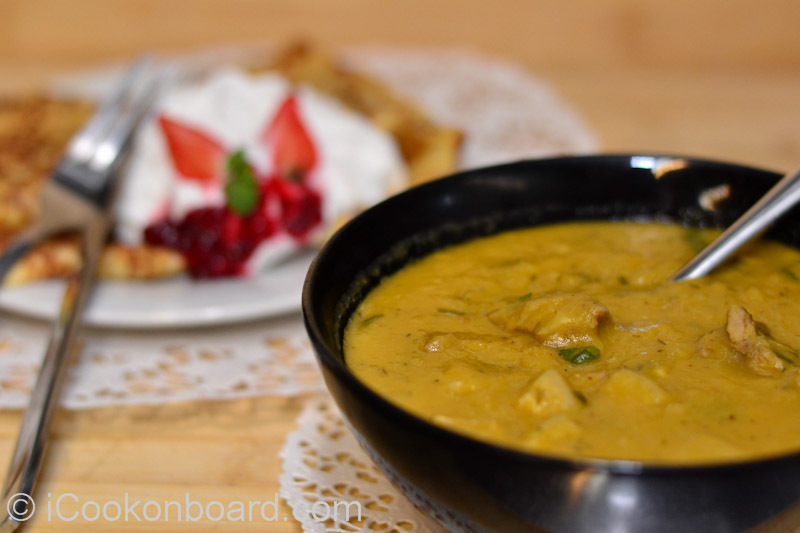 you to try cooking Ärtsoppa for your Swedish crew onboard or for your love ones at home. Believe me, they will thank you. 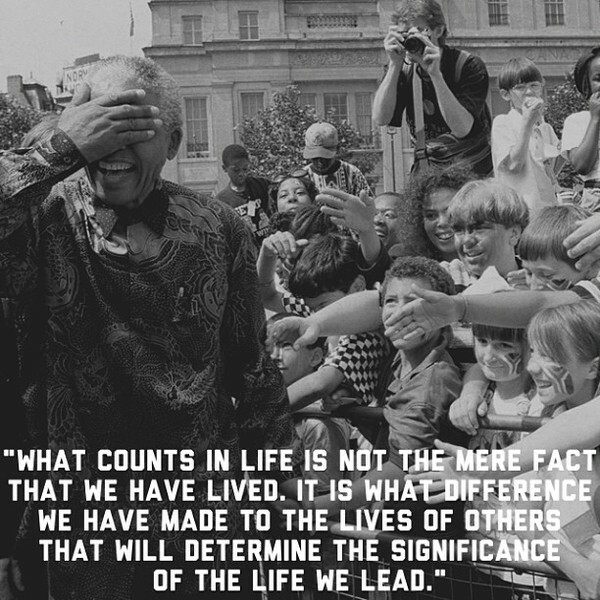 as the world marks what would have been his 96th birthday today. 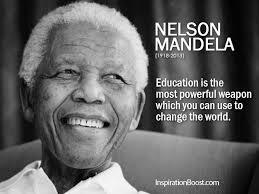 NELSON MANDELA have been a big inspiration to me. 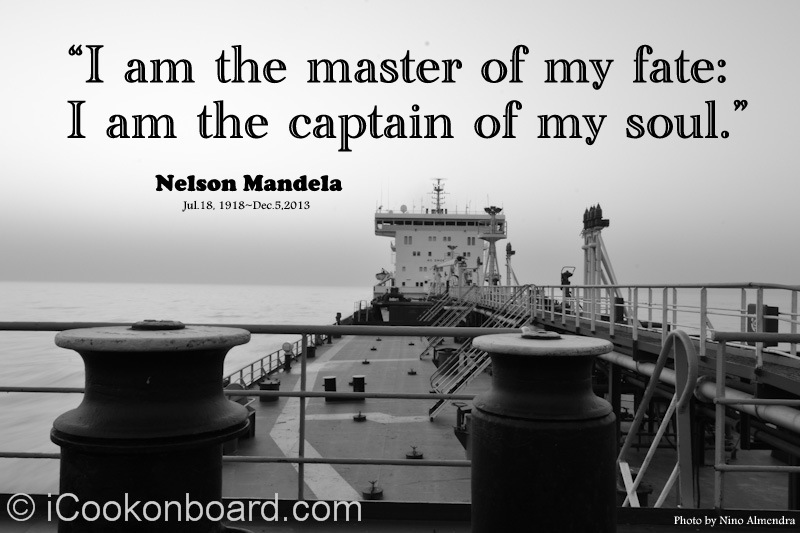 His words, good deeds and strong will to achive freedom under any circumstances. This is my favourite soup!!! I make it all the time!!! I cannot believe my eyes, you have cooked hernekeitto 🙂 !!? I wouldn’t have thought that anyone outside Scandinavia knows it (or would like it)! We use yellow-split-peas in Persian cooking too. This soup with touch of mustard sounds very delectable. Wonderful! I would love to know some Persian recipe using yellow split pea. 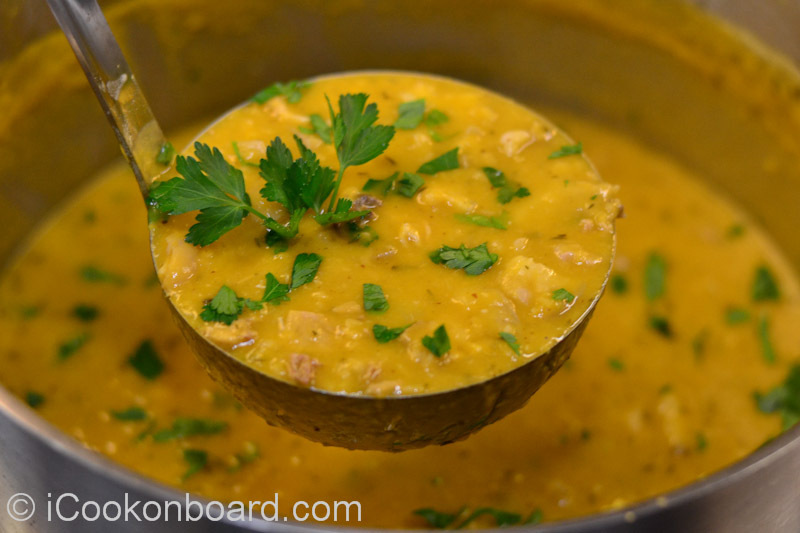 The most famous one being the “yellow-split-pea stew”, which I will post someday soon (nothing like Indian dish). But for now, check out my ‘Recipe Index’… I have them in all my ‘dolmeh’ recipes and “stew, apple”. So much history and tradition in a soup recipe! Thank you for this very interesting post! 🙂 Cooking lesson, history lesson, and a dose of inspiration. That soup looks yummy. Very impressive that your repertoire crosses different international lines, Nino! Should you and your wife ever set up shop anywhere on land, you must let us all know. I love making, and eating, pea soup, but you have given me some good ideas here – especially the addition of grainy or Dijon mustard. And thanks for the story behind the soup. Knowing the traditions behind a recipe is always interesting. Thanks for sharing.